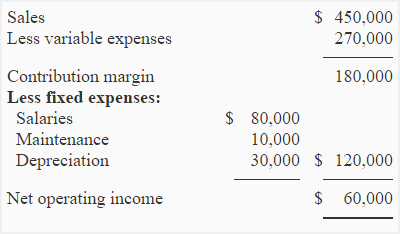 The only non-cash expense in the above income statement is the depreciation. The new equipment would cost $240,000 and the old equipment can be sold to a small company for its salvage value of $15,000. Required: Would the company invest in new equipment if the desired payback period is 2.5 years or less? The price of new equipment is $240,000 and the salvage value of the old equipment is $15,000. The required investment is, therefore, $225,000 ($240,000 – $15,000). The equipment promises a payback period of 2.5 years that is equal to the maximum desired payback period of the company. The equipment would, therefore, be purchased.